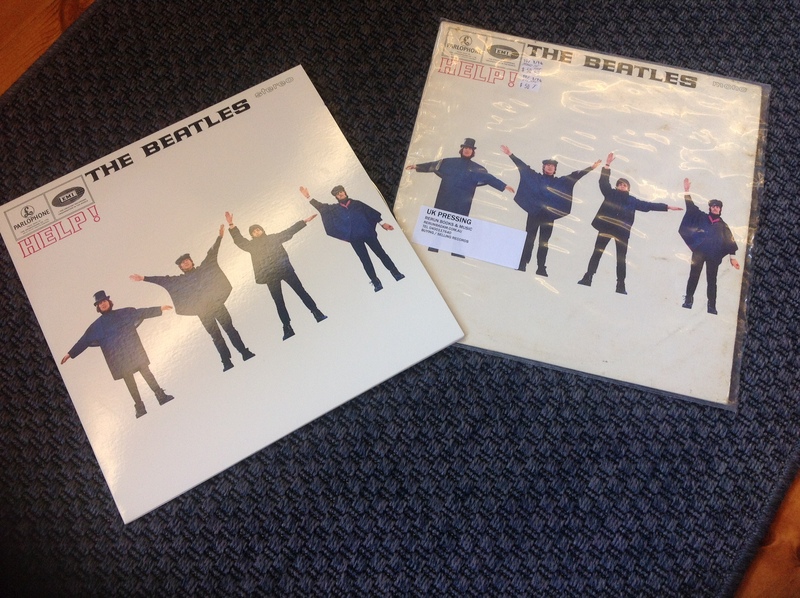 But anyway, this month we have Help!, the second Beatles studio album I ever listened to, and the first LP I ever bought (almost a year ago). (I actually bought a box set of Beatles records called The Beatles Box slightly beforehand, but I always count Help! as my first actual LP.) I think I listened to soon after watching the film Help!, which is not surprising ‘cos Help! is my favourite Beatles film. (The music — I love ’65 Beatles –, the technicolour, the ski scene, Ahme, that flat…) The album made number five in my ranking from earlier this year. 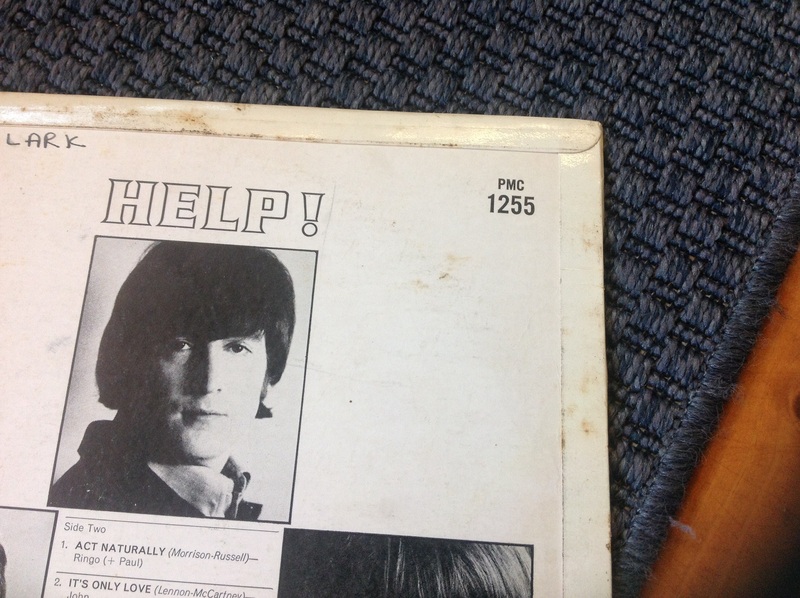 My copy of Help! is possibly the most valuable in my collection. It wouldn’t surprise me if it’s worth a bit. But anyway, here’s a picture. 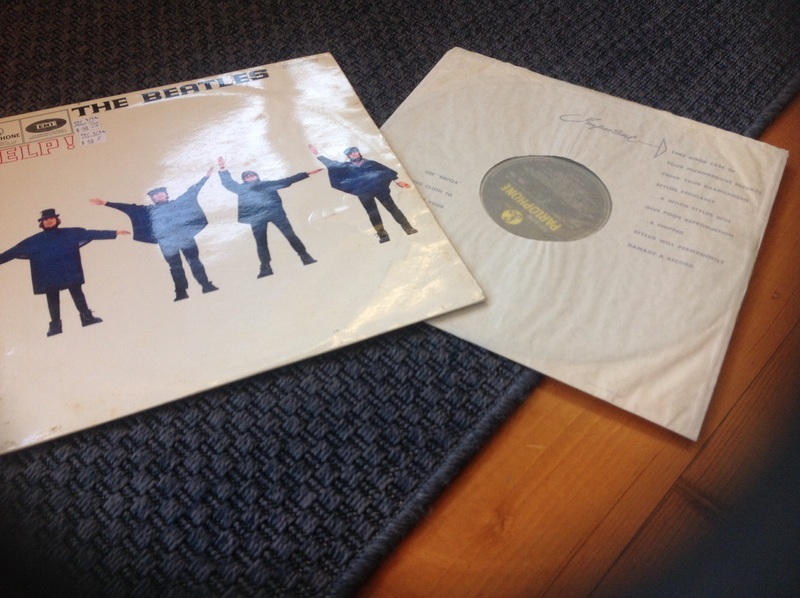 The copy on the left (the newer-looking stereo pressing) was the one I obtained first. But it is not the one that I think might be quite valuable. Why? It’s a 2012 pressing, which I purchased late last year (on the 8th of December, in fact — RIP John 😦 ). And it doesn’t play. Again, why? 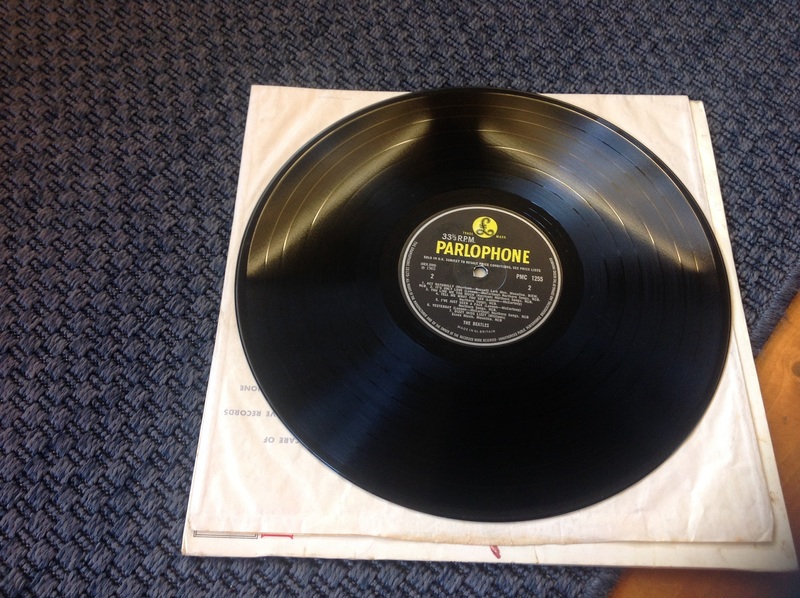 Well… About a year ago, we purchased an original 1960s stereogram, and that is when I began collecting records. 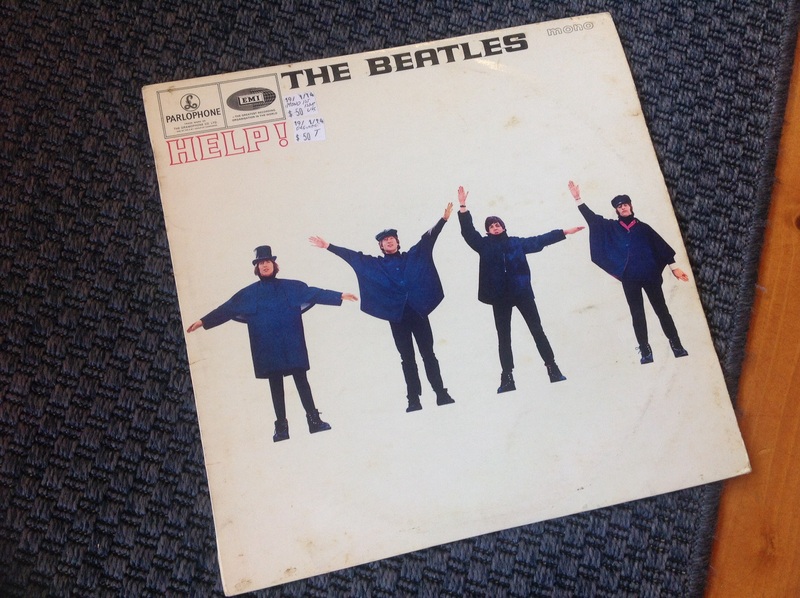 But me being very naive and knowing absolutely zilch about vinyl at the time, I thought all Beatles LPs were going to be priced well-off into the 100s (AUD) and that I’d never be able to buy an original pressing. So I purchased a new pressing from a record shop (not the one I go to now — I was yet to find that one) on that horrible anniversary and I couldn’t wait to get home to play it. The needle in the record player was completely original, and having previously played a few records on the player and experiencing no issues, felt no need to replace it. So anyway, I get home and play the record. ‘Help!’ plays perfectly. But about halfway through ‘The Night Before’, the LP begins to skip like mad. Ditto with ‘I Need You’, ‘You’ve Got To Hide Your Love Away’, ‘Another Girl’, ‘You’re Going To Lose That Girl’, ‘Ticket To Ride’… We obviously ended up replacing the needle, but Side One of the record is forever ruined (stupid, naive me)… Not that it matters anymore, though! Here is a close-up on the catalogue number/backflaps/John. Wow — my Help! was a very lucky fluke. Very…. First-edition. UK. Mono. (Even though the earlier stereo pressings are worth more.). Very lucky. 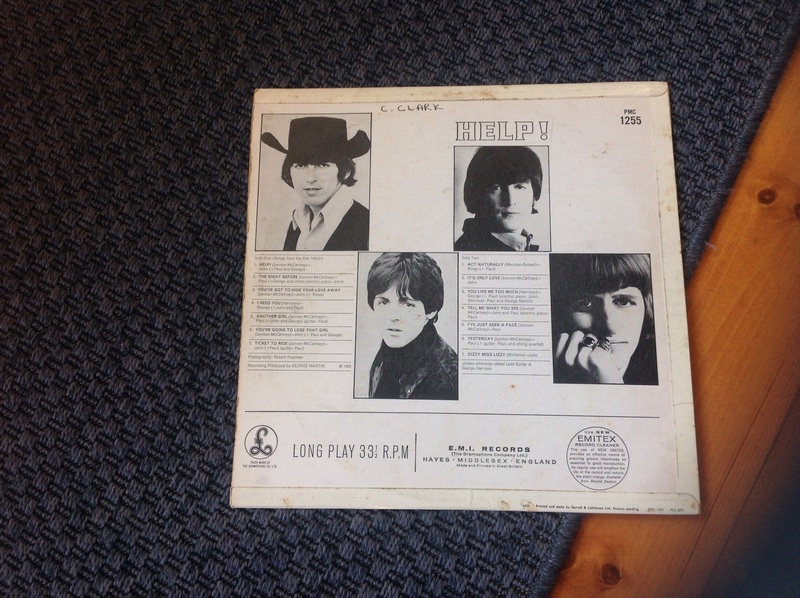 Here’s the cover with the inner sleeve/actual record. I have the original EMITEX sleeve in mint condition! How cool is that! 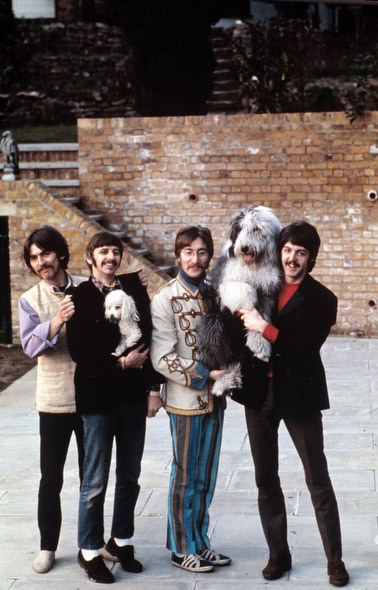 “Clark” must have been very careful with her records (as is also shown with my With The Beatles). Haven’t got much else to write. I promise I’ll be back to normal blogging schedule next week (I’ll have handed in my assignment by then). Anyway, it’s only TWO MORE WEEKS to two whole months of Summer holidays and the end of the school year! Yay! I’ll blog as much as I can in the holidays, to make up for posts I have missed. Next week, though, will be a sad post. It will be the 29th of November. We miss you, George.